Then again, maybe it’s a D200s, following in the “tradition” of the D70/D70s? Whatever it turns out to be, you might be wondering, “Should I upgrade?” For most people, my answer is a resounding, “No.” Nikon would like you to, of course. But you’d have to be crazy (or wealthy) to upgrade bodies every time Canon or Nikon made a new version. Evaluate your needs objectively. Yes, it’s nice to have the latest and greatest. But, odds are the DSLR you’re holding in your hands right now will serve you perfectly well for at least a few more years. On the other hand, if you are in the market for a new DSLR, you might consider waiting. This new model might be just what you are looking for and it will almost certainly drive the price of D70s down and potentially flood eBay with used D70 and D70s models. I actually am thinking of upgrading my D70 for a couple of reasons. Mainly, as I’m beginning to turn this hobby into a profession, I’m feeling the limitation of 6 megapixels. While perfectly adequate for making 8×10 and 11×14 prints, I’d appreciate the extra detail and sharpness I could get from more megapixels at larger print sizes. 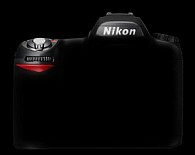 A D200 may be in my future but I’ll wait and see what Nikon unveils next month.